Relocations of Africans and other nonwhites were conducted on a large scale. Laws prevented workers from taking their families out of the homelands when they left to work. In the early 1960s, the nations of Africa began to assert their independence, one by one throwing off their white rulers. South Africa's racial policies came more and more under attack from the Commonwealth, the United Nations, and outsiders. In response to the decolonization of Africa and the increased criticism, South Africa responded with a new policy aimed at achieving nationhood for the separate racial groups. The Promotion of Bantu Self-government Act changed the reserves to "homelands" and provided for limited self government. 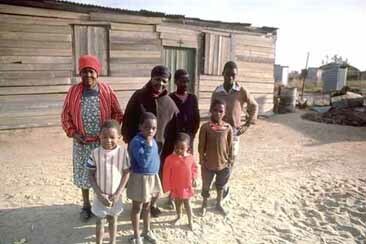 However, the lands of the homelands were far too small to support the populations and were often poor and infertile. Most still had to leave the homelands to work for the whites.